I just found an article I wrote and posted at Amiga.org on May 19. 2001 about the death of Commodore. I have posted it here for posterity. The process of writing the story and researching it was fun; I followed former Commodore hardware engineer Dave Haynie around at an Amiga show in St. Louis in April of 2001 and pestered him with questions. The result was something I am proud of and I’m glad Wayne Hunt at Amiga.org found it for me. Thanks, Wayne. Note that right now I have no HTML or anything in the headings or bullets, but the text is clean. I had to edit the story out of a SQL backup. Note also that I never followed up with the other parts of the story: Part II I believe was to be VisCorp (I think that was their name) who bought the Amiga after Commodore died and Gateway, who bought Amiga after VisCorp died. Part III would have been on Amiga Inc., but I did a story more recently called The Downward Spiral of Amiga Inc., which I suppose could be that Part III. Almost everyone who remembers the 1980s computer era remembers Commodore. Even if they don’t remember hearing of Amiga, they remember the company who made the Amiga famous. Some of these people even remember Commodore going bankrupt. But most people don’t know that Commodore killed itself. I used to assume Microsoft had somehow kill Commodore, even if unintentionally by just eating the market for PC operating systems alive. But in truth, Commodore made some bad mistakes through the 1980s, and much worse mistakes in the 1990s, that had nothing to do with any company but Commodore. (The focus of this article is on Amiga-era Commodore, but an awesome book on the subject of Commodore throughout its tragic history can be found in The Secret Guide to Computing by Russell M. Walter. In this series of three articles I aim to compare and contrast the two companies that nearly killed the Amiga — Commodore and Gateway — to Amiga Inc., the company now attempting to resurrect the Amiga’s promise. This first article discusses Commodore and the major missteps the company made with the Amiga. The Commodore 128 was the follow-up to the popular Commodore 64, and this was Commodore’s first misstep with the Amiga brand. Even Apple was smart enough to push only the Macintosh brand once that computer was released (although they botched it up by not providing an upgrade path for Apple II users). Commodore should have transitioned C64 users to the Amiga, made the Amiga emulate the old C64 software to ease that transition, and then heavily marketed the Amiga brand throughout the computer industry, from multimedia workstations to business machines. One brand, one platform, one marketing team, with one goal: push Amiga. Instead, Commodore weakly marketed both the Commodore 128 and the Amiga for years. After Commodore’s founding CEO left the company when Commodore’s other major stockholders refused to allow his sons to rule in his wake, he sold all his shares in the company (at about $40 a share — for a total of about $80 million dollars). When he was gone, the CEO slaughterhouse commenced. When the remaining majority stockholder (Prudential Insurance) saw that Commodore was making less money than it once had, Commodore’s board of directors started hiring and firing CEOs in rapid succession, trying to find someone who would make the company more profitable. Finally the stockholders settled on CEO Mehdi Ali. When a company’s engineers don’t just hold their executive team in contempt, but feel actual, bona-fide loathing for their chieftains, something’s wrong. 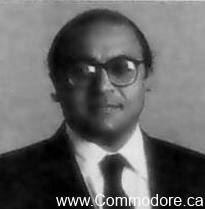 By the time Commodore went bankrupt, Commodore’s engineers really didn’t like the last executive team, led by CEO Mehdi Ali. It could be said some of them hated him. In Dave Haynie’s Deathbed Vigil video, they burn an effigy of him. The oft-derided “Amiga Jr.” project, which was born in 1991 when Commodore’s new engineering head executive (the man responsible for the failed PC Jr. project at IBM) told Amiga engineers to make a “cheap” Amiga. The engineers were decidedly unthrilled with the new direction, but had no choice but to make the new machine. When it was done, not one of the internal Commodore sales teams would order the thing. The engineering team themselves detested everything about the new design, and when it was scrapped they quickly went back to work on the 3000+, which became the Amiga 4000. The 4000 was a decent machine, but it was not what it could have been after so much time and engineering resources had been wasted on making the cheap Amiga. The new executives demanded huge cuts in research and development, and got much of what they asked for. Research and development is a technology company’s very lifeline – but the legendary, never-finished AAA chipset, which had been in process since 1989, still wasn’t done in 1994. The brutal slaughter of a deal with Sun Microsystems that would have made Sun an OEM for Amiga computers. Sun wanted to use Amiga’s version of Unix for Sun’s low-end Unix solution. Medhi Ali and his team sabotaged the deal twice by demanding a fortune in licensing fees. Sun eventually gave up and Amiga’s chances to expand into the Unix market dried up forever. In 1993 Commodore released the first CD-based gaming system: the Amiga CD32. The CD32 was an exciting product, and it was estimated at the time that if Commodore had produced even 400,000 of the CD32 in time for Christmas 1993, the company may actually been saved from the abyss. But it wasn’t to be. The CD32 was released in time for the 1993 Christmas season, but Commodore ran into hardware supply problems and was only able to produce 100,000 units of the system in time for the holiday. 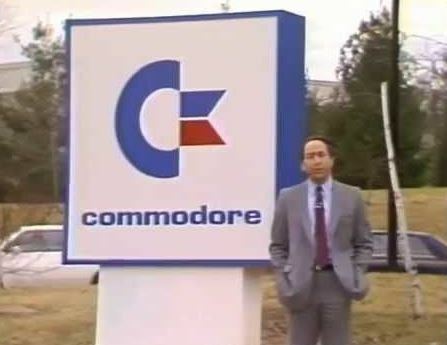 The company laid off its employees in stages in early 1994, and by mid-year, Commodore was no more. The public should have seen it coming. Commodore never made advances each design from the Amiga 1000. Same 8 bit sound chip. Tell you that no money from profit of Amiga went into research. The company Creative made 16 bit – 24 bit sound cards. PC Sound Quality and PC 3D Graphics cards killed Amiga. It would be Amiga one chance to win people back stop Lock people into Amiga inc products exclusively allow people Choices that they can afford. Price/Performance counts and Software developers abandoned Amiga for one reason. Why come back I hear them say. show me the money!